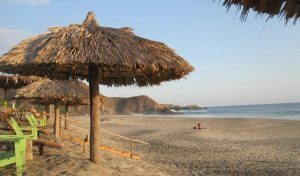 Playa Mermejita is a small beach area in the central part of the Oaxaca coast, west of San Agustinillo and Mazunte. It is borderedon its’ east side by Punta Cometa, the southern most point in theMexican state of Oaxaca, and on its west side by Ventanilla, a distinguished looking rock formation with a “ventana” or window in it which can be observed from several miles distance. 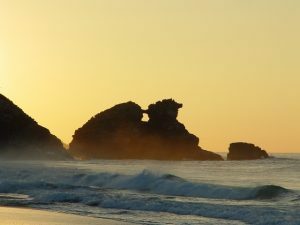 Aside from its isolation, Playa Mermejita is popular for viewing sunsets over the ocean, a must do during your visit to the area.Mermejita is one of only two Oaxacan nesting locations for the rare leatherback turtle. 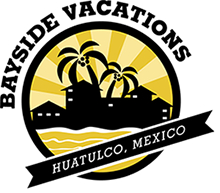 The nearby Centro Mexicano de la Tortuga researches, breeds, and displays numerous varieties of live turtles and fish, and is working to bring this turtle back from the brink of extinction. 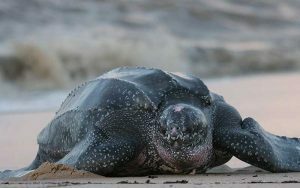 The leatherback can live for 80 years and grow to a length of 9 feet. For the green thumbs, visit Jardin Botanico in Playa Mermejita. This garden center offers fresh herbs, exotic flowers, cactus, tropical trees and natural supplements for your garden. It also sells hand made clay pots from the region, water fountains and garden accessories. It is well known in the area for its organic home made salsas and marmalades! Jardin Botanico can help to arrange and reserve boat tours, swim with the turtles, whale watching, scuba diving, fishing, horseback riding and more. Take a walk through the beautiful orchard and gardens and enjoy the true natural sanctuary.